330 pages | 20 Color Illus. | 150 B/W Illus. 10. How can Water Security be Improved in Water Scarce Areas of Rural India? Livelihoods and Natural Resources Management Institute (LNRMI) is an independent institution based in Hyderabad, India, aiming at conducting high quality research and consultancy in the area of human livelihoods and natural resource management. IRC International Water and Sanitation Centre (IRC), The Hague, Netherlands, seeks to bridge the knowledge gap through joint learning with partners for improved, low-cost water supply, sanitation and hygiene in developing couries. The Centre for Economic and Social Studies (CESS), Hyderabad, India conducts interdisciplinary research in analytical and applied areas of social sciences, encompassing socio-economic and other aspects of development. 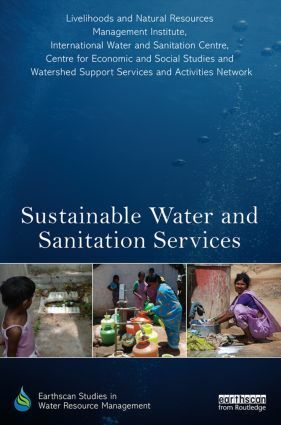 Watershed Support Services and Activities Network (WASSAN) in Secunderabad, India works towards bringing about a qualitative change in the watershed based development programs in India.